Please join us for our community Seder this Pesach! Pesach Seder #2: Please contact the Rabbi privately for information regarding a second seder. Please sign up for the seder, order shmurra matzah, and sell chometz online here . For any questions, please email us! 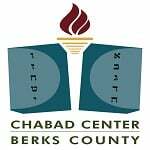 Thank you and looking forward to greeting you at our community seder!